Brooklyn Brewery is a company with strange stardards. They can create some amazing brews (Local 1, Black Chocolate Stout) yet let a couple slip past them and continue to be sold on the market (East India Pale Ale, Pennant Ale.) The brewery is much like the city it is from- some amazing things and some things that we'd rather not see again (another Yankee pennant or George Steinbrenner) So when we noticed a new Brooklyn 750ml bottle on the shelf, we were intrigued. 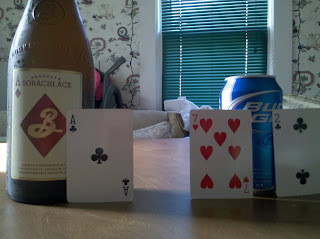 Sorachi Ace is a 100% bottle refermented saison ale. It boasts a respectable 7.6% ABV and is brewed with the rare Sorachi Ace hop and a Belgian yeast strain an re-fermented with champgne yeast in the bottle. This sounds like it could be a home run. Sorachi Ace pours cloudy and golden with a fizzy white head with sweet lemon-y smell. SA hits the tongue with sweetness, a tarty lemon zest and a crisp hop flavor with a bit of carbonation. The alcohol is the hidden treasure hid beneath the complex and completely refreshing flavors. This brew would pair nice with a light dish and cheeses and is perfect for a summer evening split with a good friend. 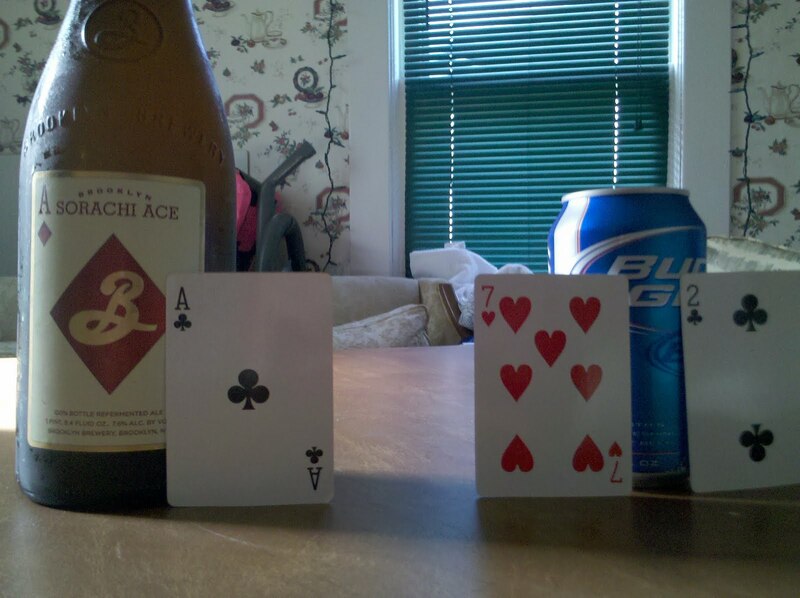 Brooklyn Brewery's Sorachi Ace delived what we hoped for. It acheives where many Jolly Pumpkin beers fail, tart and sweet but that flavor does not overpower the rest of the beer. This is what a saison should be, light and crisp but with enough alcohol to encourage the purchase of an expensive brew. While not quite a grandslam, this beer is a walk off home run. Where did you pick this up at, me and Gary found it at Heinens in Mentor, the Last one. We also found the last Troegs Mad Elf. You guyz coming to my party....Aug 21st? when, where and what time? we got ours at upick6 in erie. it was quite delicious.